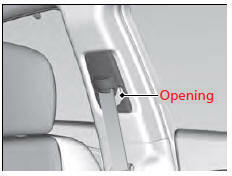 The floor mats hook over the floor anchors, which keep the mats from sliding forward. To remove the mats for cleaning, turn the anchor knobs to the unlock position. 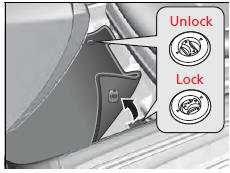 When reinstalling the mats after cleaning, turn the knobs to the lock position.